Over 400 men who called the Isle of Wight home and served in the air forces during the first World War have been identified by Wight Aviation Museum. Isle of Wight; casualties ranged from age 18 to 47 years old, coming from all Island communities. Barely four years after the very first aeroplane landed on the Isle of Wight in 1910 at Freshwater, were men up in the air fighting the enemy over the trenches in the Western Front. The Royal Air Force did not even exist at that time, and aviation was still in its infancy, yet men from the Isle of Wight were distinguishing themselves flying with the Royal Naval Air Service and Royal Flying Corps, spurred on by the heroics of Albert Ball VC, Billy Bishop VC and Mick Mannock VC, and included such well known Island names as Attrill, Chiverton, Jolliffe, Mew, Russell and Urry. Over 400 men who called the Isle of Wight home and served in the air forces during the first World War have been identified by Wight Aviation Museum. Isle of Wight; casualties ranged from age 18 to 47 years old, coming from all Island communities. Names of almost 100 airmen who lost their lives are being researched by the museum. The following is a short summary of just a few of those brave men who sacrificed all. The very first island aviator to die in the Great War. Born in St. Helens in 1879, After serving in the Boer war he served as a trooper in Paget’s Horse, and later as a prospector in Canada from whence he joined the Canadian Expeditionary Force coming to England. 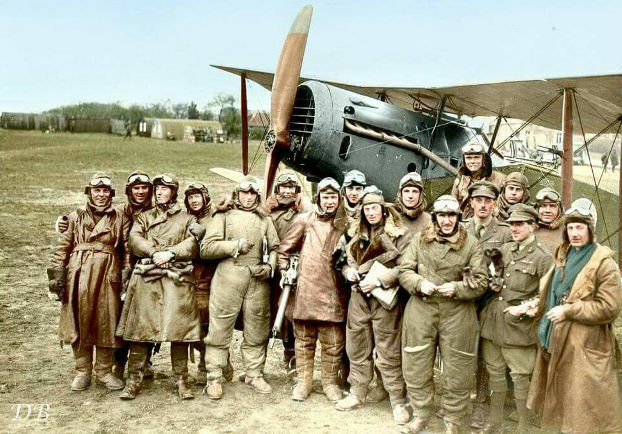 Caws transferred to the Royal Flying Corps (RFC) in February 1915 and on training as a combat Pilot at the unusually old age of 36,was posted to No 10 Squadron, one of the first Royal Flying Corp squadron to be created. With his Observer, Lt W H Sugden-Wilson, 2Lt Caws was out on a reconnaissance sortie in a two-seater Bleriot Experimental 2c on the morning of 21 September 1915 when they were attacked by Fokker aircraft and shot down by German Air Ace Lieutenant Max Immelmann. Caws crashed and was killed near Vimy Ridge. He was buried by the Germans but his grave since lost. He is remembered by a small family brass plaque inside St Helens Church. Was from Braemar in Sandown and was a Captain in 60 Squadron and an 18 victories air ace. Only one month after his squadron colleague Captain W. A. “Billy” Bishop received the Victoria Cross, on 18 July 1917 Belgrave was awarded the Military Cross. In April 1918 his squadron joined the newly formed Royal Air Force, and he was killed in the Somme flying an S.E.5 fighter east of Albert only months later aged 21 years old on 13 June 1918. He is buried at Grove Town Cemetery, Meaulte, northern France. 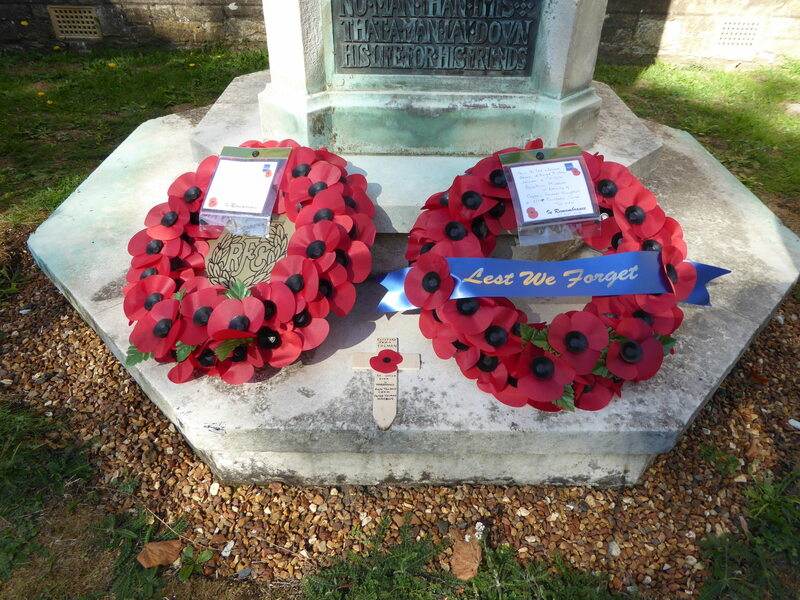 He is not listed on the Sandown War Memorial and appears to not yet be commemorated at all on the Isle of Wight. Born 1898, Ryde. 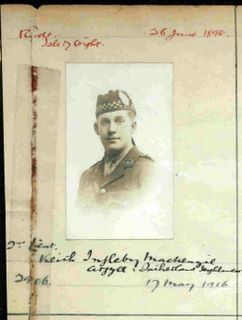 2/Lt Mackenzie served with 16th Squadron RFC, and was on a photographic sortie flying a Bristol BE.2G aircraft with Lt Guy Everingham as his observer, when he was shot down and killed west of Vimy-de-Bonval. 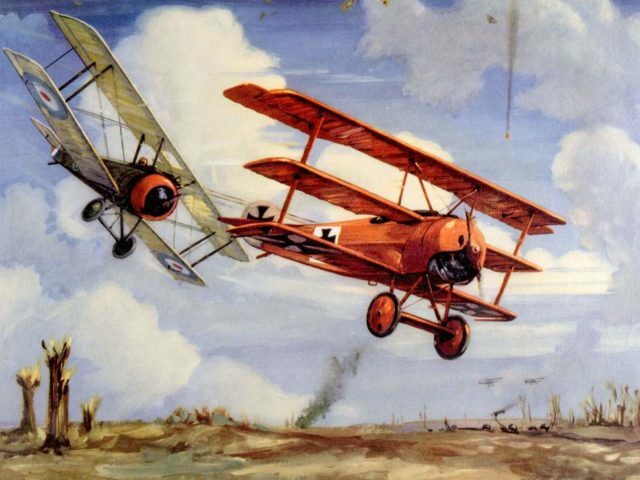 The shooting was claimed by the German ace-of-aces, the Red Baron, Rittmeister Manfred von Richthofen – his 39th victory. MacKenzie is buried at Bois-Carre British Cemetery, Thelus. His name appears on the Ryde Borough War Memorial. “T./2nd Lt. Robert Naylor Treadwell, Gen. List R.F.C,For conspicuous gallantry and devotion to duty. Although very severely wounded during a combat, he succeeded in bringing back his machine against a very strong wind to his aerodrome, saving both machine and observer by his great pluck and determination. When lifted out of his machine he was utterly exhausted. He has been concerned in many successful patrols and bomb raids, showing on all occasions conspicuous dash and devotion to duty”. He is commemorated on the Northwood War Memorial. Grew up at Alverstone Manor Farm in Whippingham, Tolman flew as an observer with No 22 RFC and RAF, and was killed in a Bristol Fe 2 fighter with pilot Capt Thompson east of Cambrai the day of his 7th air victory (and Thompson’s 30th). Commemorated on Whippingham church war memorial. Wight Aviation Museum held a 100th anniversary commemoration for Tolman in October 2018 with his nephew and niece and the local Priory school. The very last Isle of Wight related aviator to die in the First World war died on 29 October 1918, Captain Goodwin Barnes. From Islington in London. He had served with 42 Squadron and 207 squadron with distinction and had been mentioned in dispatches for attacking a German submarine off the Isle of Wight. He was posted to the seaplane base at Bembridge from October 1917. He died of pneumonia at the Castle Red Cross Hospital on the Esplanade at Ryde after contracting influenza. He is buried at Ryde Borough cemetery.